Caption slip reads: "Photographer: Wesselman. Date: 1958-06-24. Reporter: Adler. 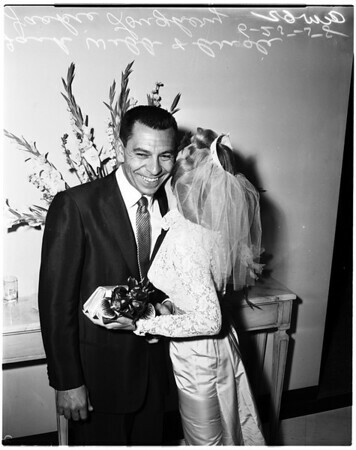 Assignment: 1/14/62: Jack (Dragnet) Webb and his bride, Jackie Loughery -- with wedding cake".